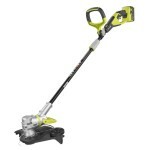 Home Blog Weed Eater Is It Dangerous When You Use a Weed Eater near the Fence or Building? Fenced houses, buildings, and establishments with a lawn or yard require some trimming every now and then. Lawn mowers are an efficient equipment to keep those green fields neat and clean. But if you want to get into the corners of the fences and around the buildings and posts, a lawn mower might be too bulky and big. Hence, a weed eater is what you need. 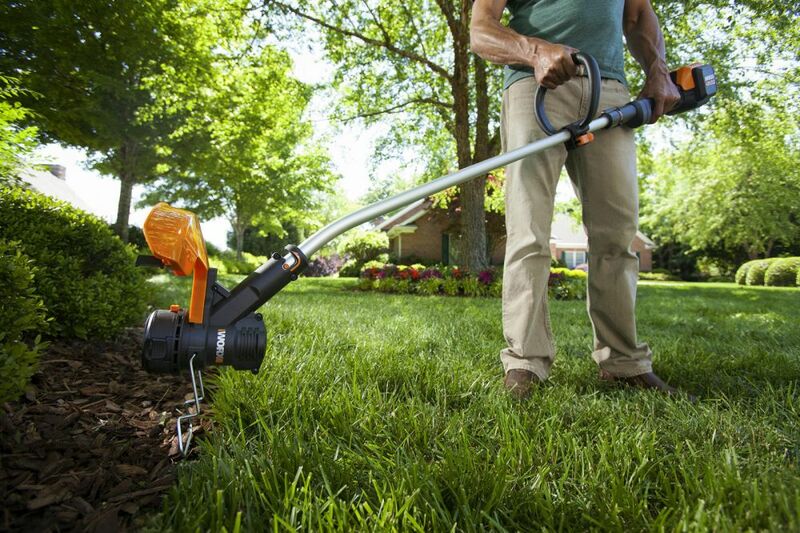 A weed eater is an innovative gardening equipment that provides precise trimming and edging. It helps maintain your lawn and keep it in a much neater and cleaner condition. However, since this is the most appropriate equipment to reach the spaces and corners along the fences, buildings, and other establishments, some users expressed their concerns whether it is dangerous or not to get too close to those areas. Can a weed eater damage your fence or the areas near the building? Is it really dangerous? 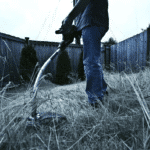 How can you use a weed eater safely? 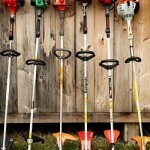 Just like any other gardening equipment, improper use can cause damage to your lawn and fences. So, if you use the weed eater the wrong way, it might not really be safe to use. Although this can be a factor, the fences, the bottom part of the building or the post itself can also be vulnerable to damages if they are not regularly maintained. There are some effective procedures that you can try to protect and fortify your fences and the areas around your establishment. Metal posts and flashing are some of the recommended materials that you can use to reinforce your fences in the yard. Keeping them regularly maintained and durable will allow you to use the weed eater more efficiently. 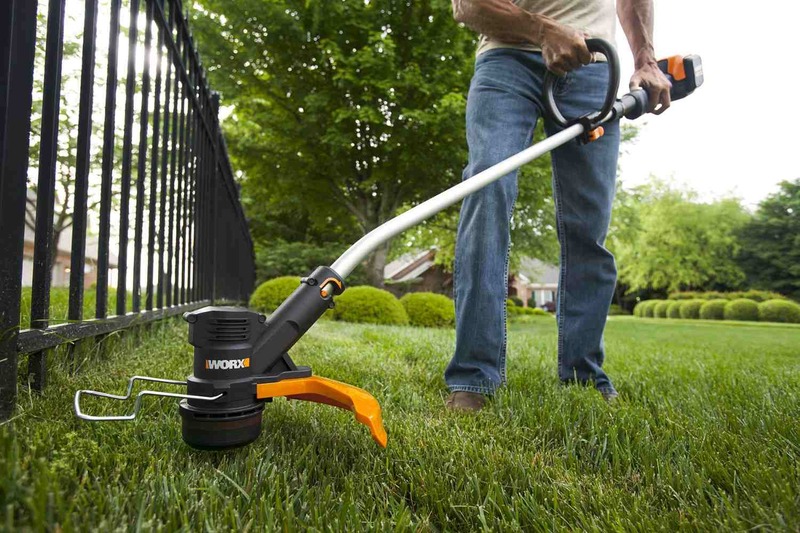 Although a weed eater is lightweight and ergonomically engineered with slimmer parts to reach the innermost areas, you still have got to be extra careful when using it. When it comes to trimming the lawn near the building, it won’t be a problem if you prefer using a weed eater. You can trim the weeds in the areas near the building but do not try to get too close to the building or establishment. The utmost concern isn’t the damages that you can cause to the building, but rather the damages your weed eater could get. Unlike fences, buildings are concrete would not likely easily get damaged by a weed eater. Some scratches might be visible or the paint might flake overtime if you often trim the weeds too close to the building. Then so, is it dangerous to use a weed eater near the building or fence? No, it won’t be if you apply the proper precaution and handling. If you trim within these areas and not get too close to the fence or building, using a weed eater won’t be a problem. But if you handle and use it improperly, it can really be dangerous. 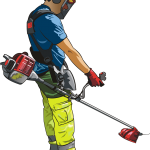 Whatever type of weed eater you use, perhaps a gas-powered weed eater, cordless or battery-powered, and electric, there are safety protocols you have to follow to prevent damages on the establishments, fences, and to your equipment as well. Here are some tips you can keep in mind before and while using a weed eater. Always wear safety goggles before using this gardening equipment. Use ear muffs or earplugs for ear protection, especially when you are using a gas-powered weed eater. This type is really loud and can definitely sound unpleasant to your ears. Always check the strings. Make sure that you don’t have more string than you need. Do not let the strings go out hanging on both sides of the head. If you have longer than you need, it can cause your engine to overwork and will drop its horsepower. Thus, it won’t provide a precise cut or whatever cut you want. The motor won’t function correctly and might not work at all eventually. Before making a cut, you need a good balance when handling the equipment. When you are using the equipment, you should lay the head flat and keep it that way all the time to prevent weed eater burn. Don’t push it down too far on the ground. If you’re tilting or using it in an angle, it will lead to weed eater burn. 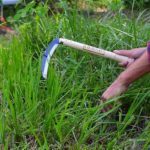 This causes the weeds to grow in different lengths or and different areas. Always do the weed eating after mowing. So, that you can gauge your height to what you’re trimming. It will also prevent uneven edges. Once you place the head on the ground flat, keep up with a steady motion from one side to another. Walk forward nicely and slowly. Keep the head flat at all times. If there are any rocks on the lawn, set them all aside first. If you run your equipment over them, your nylon might break. If you are cutting along the fence, you’ve got to be careful. You can go near it but not too close. There might be times that you may need to touch the fence to trim all the weeds off. But don’t drag it all the way to the fence. You might damage both the fence and your equipment. Keeping your lawn regularly trimmed provides you a healthier space and environment. However, if you’re going to use a weed eater along the fence or near the building, there are safety measures you have to apply first to prevent damages on the establishment and to your equipment. It seems dangerous to use a weed eater near the fence or the building, but actually, it isn’t. As long as you know how to use the weed eater properly and reinforce your fences and posts around the building with a better support and material, trimming those weeds won’t be a problem at all.